STEM Mentoring is Mystic Aquarium’s national, conservation-based mentoring program that connects small groups of youth ages 6–10 with teen and adult mentors to engage in fun, hands-on activities about science, technology, engineering, and math (STEM). The overall goal of STEM Mentoring is to positively impact the social development and academic achievement of youth in high-needs communities. Through weekly group mentoring sessions and additional STEM enrichment activities, mentees are exposed to inspiring scientists, engineers, and conservationists, who represent a variety of careers and education pathways. Mentees and their mentors commit to stay together for at least one year as they explore topics such as endangered species, engineering design, and water conservation. Approximately 1,500 mentees and 375 mentors at 80 after-school sites in 29 states and territories are participating in the STEM Mentoring program in 2017. In early August, Program Coordinators representing all sites attended a STEM Mentoring National Training in Providence, Rhode Island. 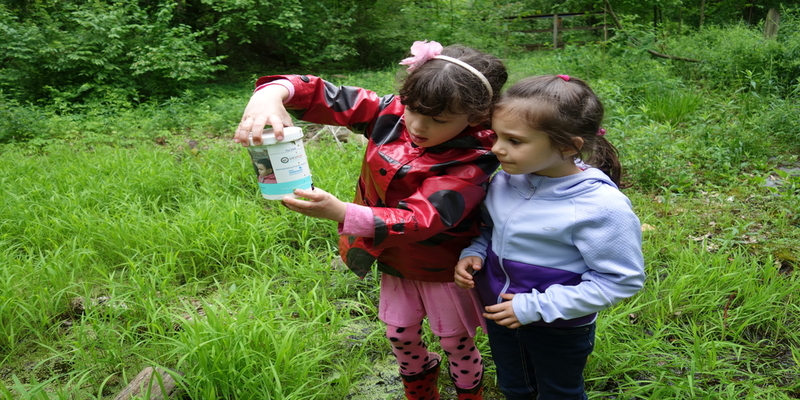 They were trained in the World of Water module, in which mentees and mentors will explore water and discover how they are connected to their local watershed. The Program Coordinators sampled hands-on activities like creating their own watershed models, testing mystery water samples, making conservation keychains, and more. Participating mentees and mentors will do these same activities as part of the World of Water module this fall. Additionally, through a partnership with EarthEcho International, they will test the water quality of local bodies of water and share their results on the EarthEcho Water Challenge website. While conducting their water quality tests, mentees and mentors will also participate in watershed cleanup activities. At the conclusion of the program, each mentee will receive a set of four World of Water books about daily choices they can make to conserve water and protect the environment. To learn more about the STEM Mentoring program, visit stemmentoringprogram.org. To access digital copies of the four World of Water books — with audio narrations available in English and Spanish — visit uniteforliteracy.com/mystic/water. Editor’s Note: Laura Batt is the Director of STEM Programs for the Mystic Aquarium. At EarthEcho International, we’re proud to partner with the Mystic Aquarium and support their efforts to mentor the next generation of water scientists and stewards. Stay tuned for more updates on our collaboration!